Dragon Paladin might be viable with these two. 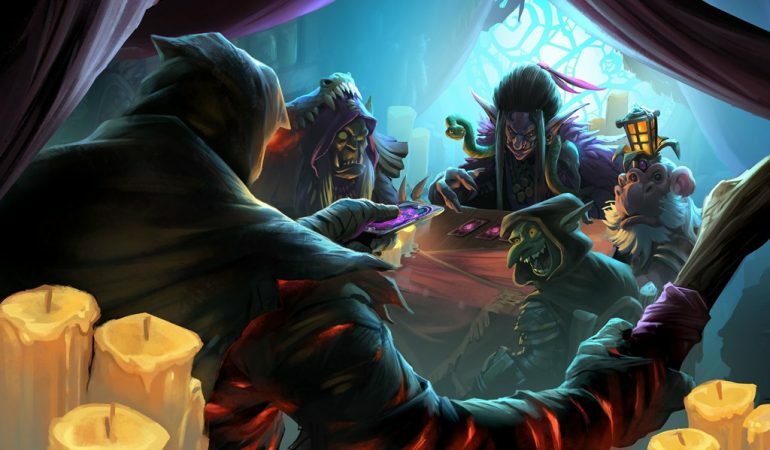 Hearthstone players who love Paladin have discovered two new class cards that are coming with the Rise of Shadows expansion in April to help them to create a powerful Dragon deck. They were revealed by Le Josette on Facebook. The first one is Dragon Speaker, an Epic minion that costs five mana and has 3/5 stats. Its Battlecry makes up for its weak attack and health, as it gives +3/+3 to all Dragons in the player’s hand. 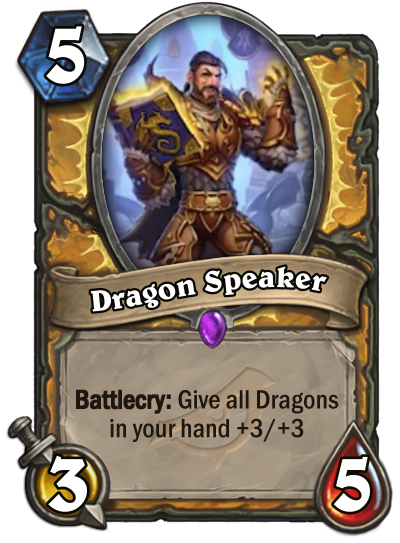 In a Dragon Paladin deck, Dragon Speaker will be mandatory, especially to build up the power of late-game dragons like Deathwing even further. As a bonus, a Paladin Dragon card has also been revealed. It’s Bronze Herald, a common minion that costs three mana and has 3/2 stats. It has a Deathrattle that adds two 4/4 Dragons to the player’s hand. If Bronze Herald sounds like the perfect card to combine with Dragon Speaker, it’s because it is. When used together, that means the player used eight mana to have two average minions on board, but at least two 6/6 Dragons in their hand. The value of both cards grows a lot when used together. There are sure other powerful ways of combining both Dragon Speaker and Bronze Herald in a good Dragon Paladin deck. Players will come up with new inventions once the Rise of Shadows expansion is live by April 9. New pre-sale card pack bundles are available at a discounted price right now, and they’ll be unlockable once the expansion is released. Players can buy a 50-pack bundle for $49.99 and a bigger one with 80 packs for $79.99.